WHO European Working Group on Health Promotion Evaluation. (1999). 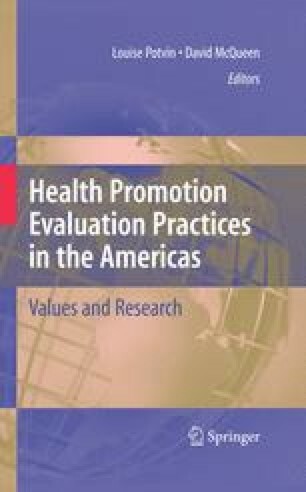 Health promotion evaluation: Recommendations to policymakers. Retrieved in March 2008 from: www.euro.who.int/document/e60706.pdf.